Terra Energy & Resource Technologies, Inc. (“TERT") is a publicly listed, space age, natural resource exploration Technology Company, specializing in the application of innovative and proprietary exploration technologies. TERT utilizes various independent processing methods of satellite-derived data sets, which provides a fresh approach to exploration that enhances today’s exploration methods and can help to find geological resources in uncharted and challenging geological areas. By incorporating innovative methods of exploration in the early and intermediate stages of exploration, it allows the traditional tools of exploration to become confirmation tools instead of exploration tools. TERT improves the exploration success rate, while significantly reducing the time, cost and risk of exploration that is associated with today’s high-risk exploration methods. TERT will high-grade any area for hydrocarbons, minerals, geothermal and other prospects that lie within the subsurface structure and when appropriate, recommend drilling locations and target depths faster and more cost effectively as compared with traditional methods. 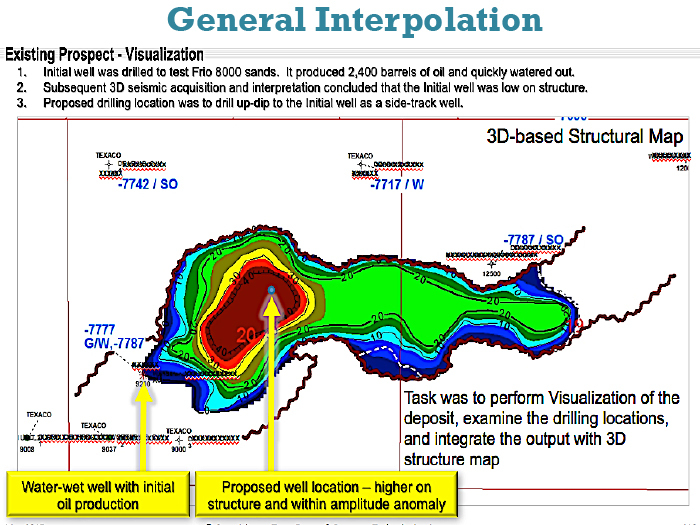 TERT interpolates surface data, which is generated from the Earth’s subsurface processes such as tectonics and connects them to the subsurface structures with indications of content. 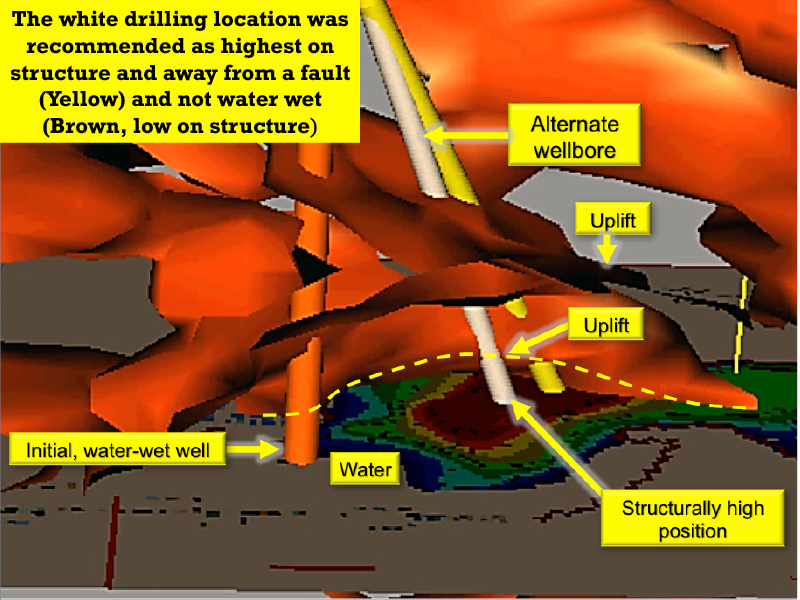 TERT will deliver results that will exceed expectations, whilst at the same time reducing the exploration period from years to months, the cost by 50 - 90% and the risk for exploration by 70% or more. STeP® is a proprietary, satellite-based and analytical technology, which interprets and quantifies the effects of subsurface processes and geological features on the Earth’s surface. It assesses and delineates natural resource anomalies and subsurface structures both onshore and offshore and is not limited by terrain, vegetation, or area‐size. STeP® consists of several unique independent and remotely administered methods such as Geodynamic analysis, Conventional remote sensing, Geoinformatics (artificial neural networks), Geomorphological studies, Morphometric analysis, Paleo-reconstruction, Structure-metric analysis and Proprietary spectrometry, which when they are superimposed, they yield a more accurate and powerful result than they would if rendered separately. As far as we are aware, our capabilities are unmatched in the commercial marketplace as measured by the value of the work product: remote sensing analysis that produces a subsurface depiction with a reliable prospectivity conclusion. The STeP® technology has evolved over the past 35 years from government research into an applied and practical suite of analytical tools, which quantify the potential of all natural resources in any given area, and delineates the anomalies/structures that are present within an area, assess resource potential, identify drilling locations/depth(s), and determine other geological characteristics. Such analysis produces results similar to traditional geological projections, however it significantly improves the understanding of the geology and structure within an area. Success is not only if a resource is discovered within a given area which has been confirmed by drilling, it is also a success if it is concluded that further exploration is not required for various substantiated reasons. In summary, STeP® is a powerful exploration solution that significantly improves the exploration success rate, reduces time from years to months, and reduces the expenditure for seismic and exploratory drilling, whilst at the same time reducing the exploration risk. Download the full TERT OVERVIEW. Download Oil & Gas Capabilities Executive Summary. Talavera Office Park, 28th Floor, Jl. TB. Simatupang Kav. 22 – 26, Jakarta 12430, Indonesia. Level 28, The Integra tower, The Intermark, 348 Jalan Tun Razak, 50400 Kuala Lumpur, Malaysia.